Are you financially healthy? Get one-on-one assistance from a financial aid advisor to find out. 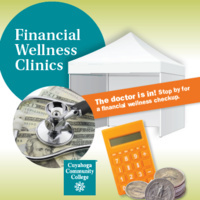 Learn about budgeting with CashCourse, summer financial aid options, scholarships, and more! Come visit us for your chance to win a $25 gift card!